Many a times people who are not able to fulfill their dreams when young due to many reasons, can play second innings of their career after 50s. Since by that time one is quite stable financially and the possibility of family responsibilities also tend to reduce. It is the time where one can actually experiment and explore with their lives. The following mentioned is a list of jobs or job ideas for older workers who are planning to get a job or career after 50. Teaching has always been considered a very noble profession. A job of a professor pays quite well and also it garners lot of respect. If you are an expert in a subject and do not intend to work those extra hours, teaching can be a great option. Since it is not strenuous as a corporate job, also sharing own experiences with students provides another dimension to experience. Also there is always a huge requirement of good teachers. If you are a fitness fanatic, then pursuing your life as a fitness instructor will be a fulfilling job. Since it requires immense passion and discipline to be a fitness expert. It is a challenge to motivate others to remain fit and guide them to achieve their fitness goal. One needs to take a certificate from a reputed fitness centre to pursue this as a professional career. It is another best option to pursue as a career. One could also be a freelance content writer or opt it as a part time career. It is good for those who have a knack for writing and understands what kind of content will work best. Digital platform growing rapidly has provided a whole new career option of writing. Also, one can find various jobs online which can provide freelance content writing jobs for many websites. Another teaching job which can be fun and fulfilling both ways. If you are passionate about kids and understand their mind which can count from teaching your own kids, then becoming a tutor will be a great job for you. In a current scenario where both the parents are busy and do not have time to teach their kids. These parents lookout for experienced tutor who understands and loves kids, also these kids innocence will keep you young and bright. As said before, with the reach of internet, digital platform is growing rapidly. The number of websites available on different topics and subjects are not easy to keep a track of. This is where a SEO expert pitch in, they ensure to always keep the website of their client on top of the search list. It is a fun job which requires a different set of skills. It is easy to learn, and one can learn it from various online courses available. With time, you become an expert of it, this will help you to grow rapidly as an SEO specialist. To know what a competitor or a brand is doing or keeping a track of their marketing strategies is a work which requires to be highly pro active and aware in what is going around. Also there is a huge demand for a smart and pro active market analyst. If you think you have it in you then go for it, as it will keep you on your toes and charged up, and also your previous work experiences will be extremely helpful in it. It does not require a professional degree and is open to the people of all age groups. Educating people about their heath is a small way of contributing to the society. Training about the work and process is taught along with the skill of talking to people. With initial hiccups you will easily grasp the essence and importance of a health educator. Every good CEO or a business person requires a secretary who can keep up with their schedules and manage their day efficiently. Your previous experience will count here a lot, since it helps in the understanding of time management. This being your strength will make you an asset for your boss. A good co-ordination between you and your boss will give fruitful results. If you have been known as the partying kinds in your youth or you like to organize and bring together bunch of people to have fun, then event planner can be your dream job. This is a fun work where you can work as an independent or can associate yourself with event management company. It requires a great planner, good problem solver and strong skill for time management. Blogging is one of the most fulfilling work to do. But one requires to work towards it gradually, starting it as a part time work. With time, your blog garners attention and views, and it will start paying you back too. If you are an expert on something or passionate to talk about from politics, environment or technology, you can become a good specialised blogger. The important thing it requires is to write on daily basis and learning to promote it to next level. It could have been possible that you might not have been able to pursue your passion for art in your youth. With everything getting into reach including visual arts. You can think of pursuing your old passion of art again. Think of becoming a graphic artist, be it digital or sketch. With so many ads, books and posters designing demand, you can take advantage of this opportunity and pitch in your ideas in it. With so many start-ups coming in, youngsters need a seasoned mind to grow ahead in business and make their start up a success. Your trained mind and experience of so many years can work out for your benefit. You can become an independent consultant or join a company full time. Not only in start-ups, becoming an advisor in a well-established firm will be also beneficial, since larger organizations requires to find a seasoned mind to find the right solution to overcome their competitors and strategies to stay ahead in the market. Lot of companies are opting for contract workers on short term and long term basis depending upon the requirement. This is an additional income that will be beneficial for you. As for employers this is feasible option to get great experience for the work, saving them a lot of money, since training the new recruits is an expensive affair. If you are one of them who likes travelling a lot and trying out cuisines of various places then travel jobs are the best to try. Then your hobby can be your new career. Write books on it, blog it or share your research and experience with travelling magazines and sites. With a hectic lifestyle that people are living these days, looking for that special getaway has a necessity these days. You can become a travel guide, designing the trip for the people to look forward to. Photography is another hobby which can be pursued as a full time job, you can choose the specialized field to opt for, it could be from wedding photography, wildlife to landscape. Once you have decided on to your field of interest you can bring it to next level. It is also a well-paying job which provides a lot of opportunities and job satisfaction. 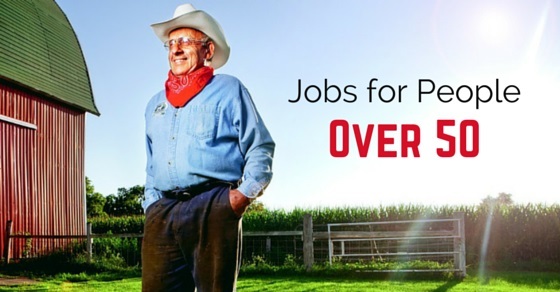 No matter what you choose as a different career option after 50, remember it is never too late. You can start your life whenever you decide to. The best in life is to pursue what you love the most and it will keep you happy forever. Opportunities are immense for everyone but those who work towards it are the one who get it right.